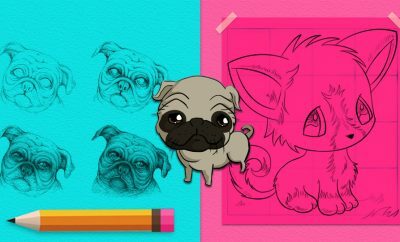 So I have decided that although Pinterest is fun to look at, it is not EXACTLY the best place to go anymore when you are looking for something that you will actually be able to make. I am sorry Pinterest, but you favor the pretty pictures and shares a little too much these days and do not care about quality or easy to follow instructions like I do. In fact, I highly suspect some of the Pinterest projects I have seen in the last few months are not even possible for the average human to make at home. Lovely, indeed, but no thank you. Fortunately, I’ve become a bit of an expert in crafting and spotting projects that we common folk can actually reproduce. 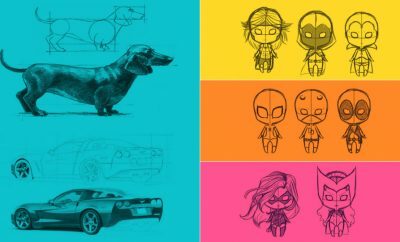 I really wanted to find a great list of projects that were cool, fun, pretty easy and cool enough for both teens and adults to make. 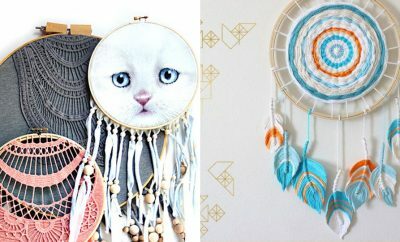 These ideas are super for fun craft ideas for older kids and even adults, decor ideas that are fun and cool enough for any teen room, dorm or apartment, plus some clever and creative DIY gift ideas that are ideal for teens and adults who are young at heart. 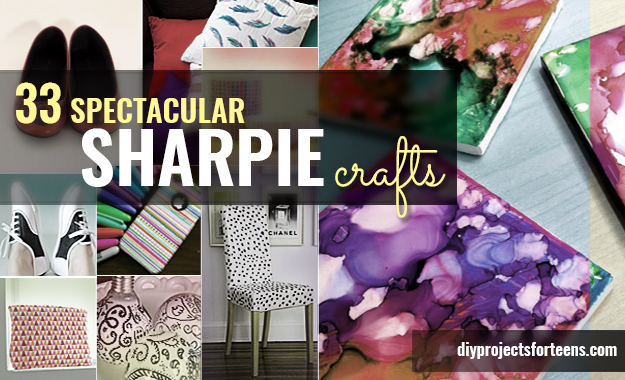 Be sure to think about these awesome ideas if you are looking for crafts to make and sell, too. I have seen more than one of these fun DIYs for sale on Etsy. Yes, it looks so simple it is probably impossible. So I tried this one myself. It is really this easy! 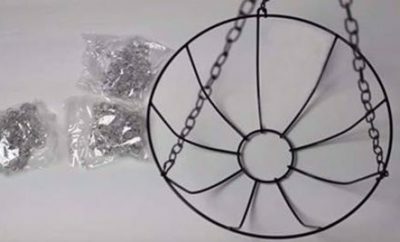 Looking for a simple, creative DIY jewelry project you can literally make in minutes, here is your craft. So easy, you can make one for every friend you have, one for every finger, one for every day of the week. Fashion earrings with these cute bows, fashion big ones for a bracelet, make them in all sort of colors of wire. The creative possibilities are endless. 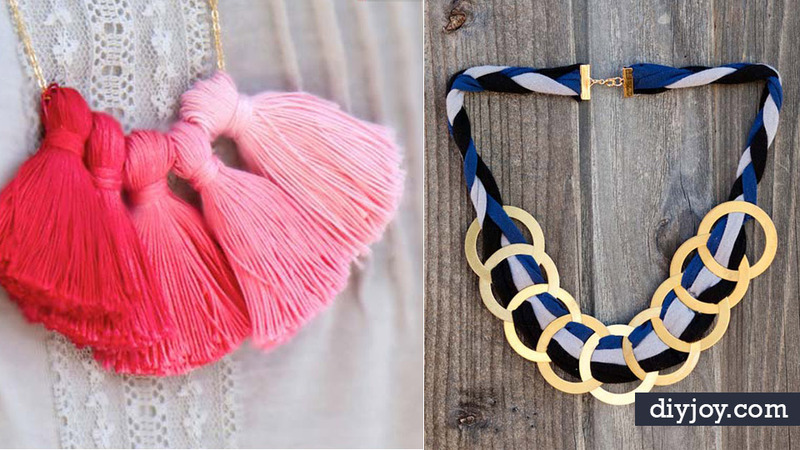 If you love jewelry making tutorials, this easy idea is the perfect craft for adults or teens – quick, easy and awesome! Having followed their latest ideas over the past few months, I think Sugar and Cloth has some of the most fun ideas around these days. Not your average wall art idea, this pom pom wreath is super original, but festive, creative and packed with personality. Why? 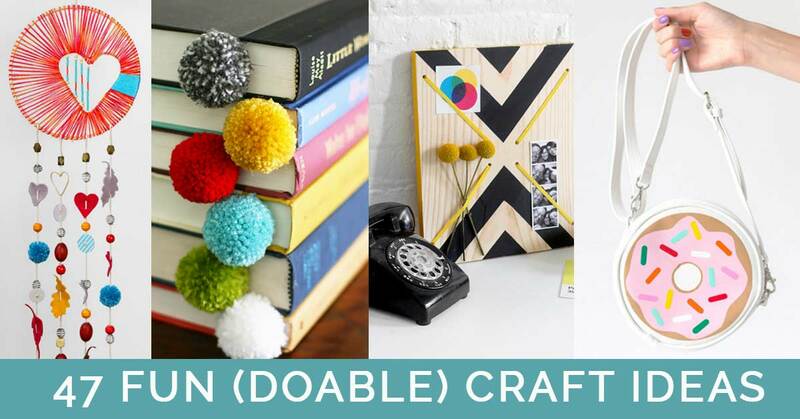 Because you get to make each individual pom pom, and each DIY pom pom is pretty much a tiny little work of art in itself. Making the pom poms one by one can be a series of fun little projects to entertain you on rainy days, long bus rides, endless waits, too. Put them all together at the end for a fabulously “not square” work of art to all to admire. This looks like a high end designer wall decor piece, but is super easy and enjoyable to make. 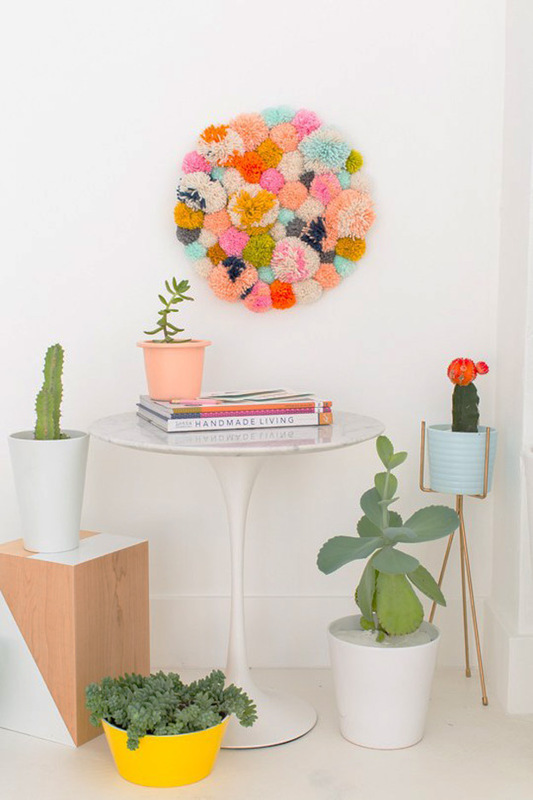 Create the pom poms while you are watching TV or hanging out with friends, then assemble for the coolest DIY wall decor idea we’ve seen this year! 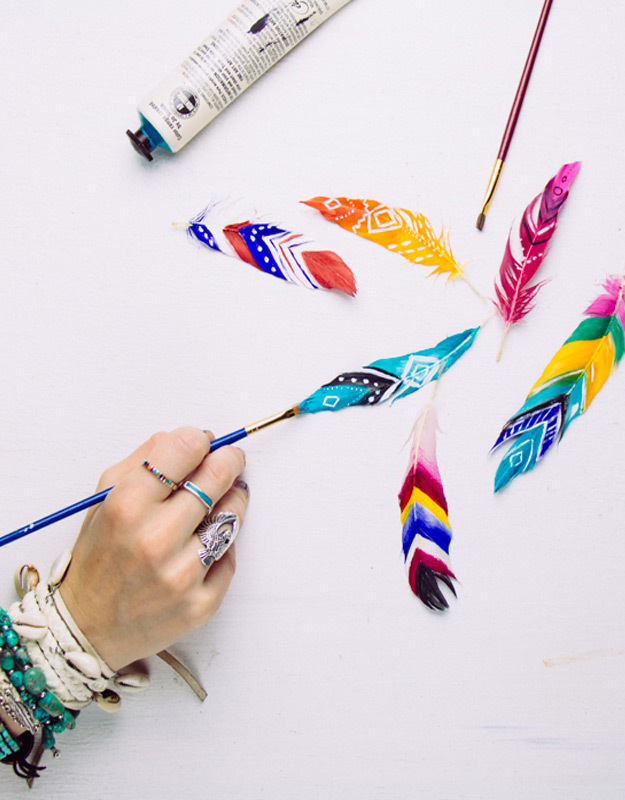 Painted feathers have become quite the popular crafting item as of late, but this arts and crafts idea can be as simple or as elaborate as you wish. You can make solid color jewel tone statement feathers, super simple ombre feathers, or mix in some patterned motif masterpieces like the ones above. Painted feathers are nice to hang in the wall, make a DIY mobile with, use to decorate gift packaging, handmade cards, or just to sit and admire. Love this idea for getting together for a craft party with friends. Each feather will be as unique and different as the person who created it! I end up decorating my fridge with magnets so I can keep photos and such in view, but I abhor the kind you get in stores. Plus, I end up with an odd assortment that just never looks right. Pretty patterned bottle cap magnets make fridge art not so boring. 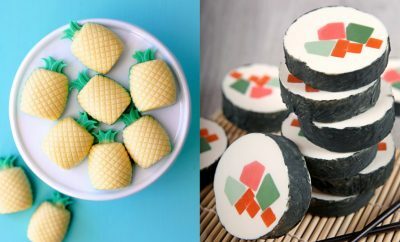 Make some of these homemade magnets for yourself, and keep some for last minute gift ideas. Cute craft idea that is easy enough for kids and teens but perfect for all ages to make at home. Super easy and cheap. too! I simply could not believe these bowls were made out of paper until I saw and made one myself. OK, this is only somewhat true…a diehard fan of paper crafts, I was amazed when I realized I had never seen anything like this yet and just had to make one myself. 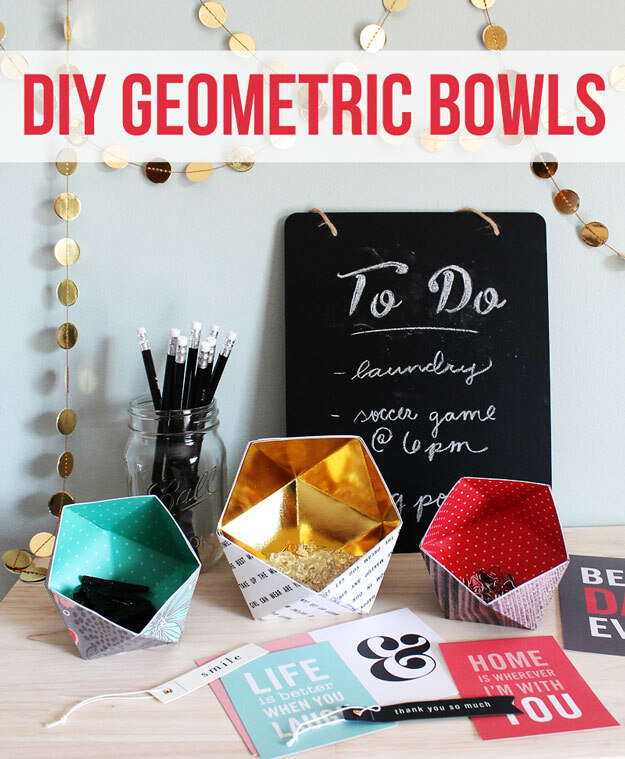 Super cool and clever design allows you to make fabulous bowls like this out of you got it, paper. Try it out today, these are sure to impress. I made two and imagine all my friends will have a few soon as well. This is a super project for using all those lovely but way too thick for the project you bought them for pieces of paper.